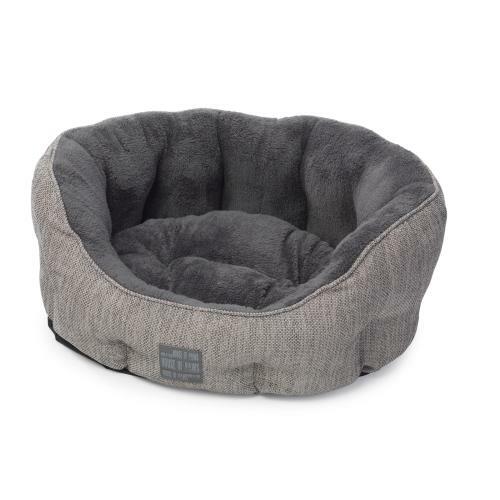 House of Paws Grey Hessian Oval Dog Bed is stylish, plush and comfortable for your canine. The bed is machine washable and has Hessian fabric on the outer and a cosy soft plush inner. The bed also features a water resistant non slip base for any surface.